Kensington Publishing Corporation, 9780758242006, 344pp. As Queen Catherine's maid and daughter of the Duke of Buckingham, the future seems bright for Elizabeth Stafford. But when her father gives her hand to Thomas Howard, third Duke of Norfolk, the spirited young woman must sacrifice all for duty. Yet Elizabeth is surprised by her passion for her powerful new husband. And when he takes on a mistress, she is determined to fight for her love and her honor. . . Naive and vulnerable, Bess Holland is easily charmed by the Duke of Norfolk, doing his bidding in exchange for gifts and adoration. For years, she and Elizabeth compete for his affections. But they are mere spectators to an obsession neither can rival: Norfolk's quest to weave the Howard name into the royal bloodline. The women's loyalties are tested as his schemes unfold-among them the litigious marriage of his niece, Anne Boleyn, to King Henry the VIII. But in an age of ruthless beheadings, no self-serving motive goes unpunished-and Elizabeth and Bess will have to fight a force more sinister than the executioner's axe. . .
"A beautifully written story with wonderful attention to detail. I loved the book." 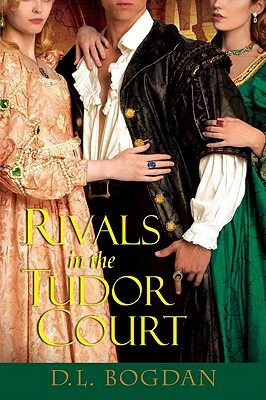 -Diane Haeger, author of "The Queen's Mistake"
"Throbs with intensity as it lays bare the secret delights of Tudor court life and the sudden, lethal terrors. A tale of innocence and ruthless ambition locked in a love-hate embrace." -Barbara Kyle, author of "The King's Daughter. Explain Thomas Howard’s descent of character. What were the key factors in his life that contributed to his moral and spiritual decline? Did he ever redeem himself? Is there anything in this novel that supports the theory of nature vs. nurture? Was Thomas’s nature predetermined genetically or was a he solely a product of his environment? Elizabeth, as a sufferer of domestic violence, was ahead of her time in that she reached out to several sources for help, including Privy Seal Cromwell. Was she a heroine or a victim? Did she have any real allies in her life? Catherine of Aragon seemed to be a consistent source of contention in Thomas and Elizabeth’s marriage. Compare and contrast Elizabeth and Thomas’s relationship with this formidable woman. Throughout the story, Thomas and Elizabeth’s relationship undergoes many changes. Note the turning points in their marriage. Did they love each other? Compare and contrast Thomas’s attitude before and after he attained the title Duke of Norfolk. Bess Holland’s position as mistress and servant is not an unusual one for the times. Why did she stay? Did she love Thomas? Bess also undergoes changes in character throughout the novel. Did she become stronger or weaker? Did the women in this story, Bess, Elizabeth, and Mary Howard, do the right thing by testifying against Thomas at his trial? The novel focuses on some mystical elements, touching on reincarnation in the subplot involving Princess Anne Plantagenet and Norfolk’s daughter Mary Howard. Do you believe in reincarnation? Why do you think the author chose to portray this subplot this way? Compare and contrast Thomas’s relationship with his first wife and family as opposed to his second. Did Thomas love Henry VIII or was he simply a channel for his ambition? Did Thomas’s time in the Tower change him in any fundamental ways? Did Thomas and Elizabeth find forgiveness for each other by novel’s end or was it a merely a deathbed truce? What is the relevance of Thomas’s signet ring for him, Elizabeth, and Bess?